This stunning picture which was taken for us by Donal Stundon, shows King’s Island in its entirety. You can see quite clearly how small the old Englishtown was and how separate St Mary’s Park is from the city. 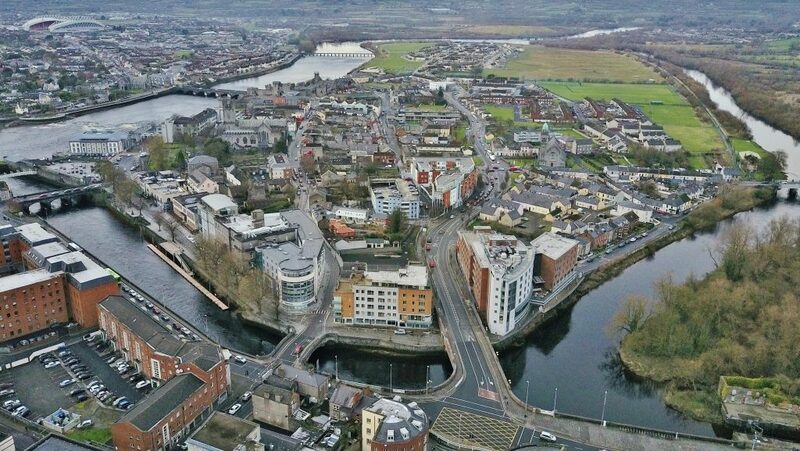 The island is circled by both the Shannon and Abbey rivers and the flood plains are a lush green. If you hover your mouse over the image you can see the picture in greater detail.